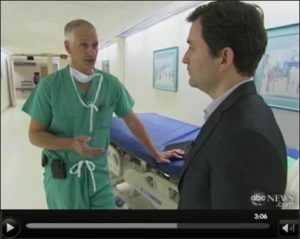 In early summer 2010, ABC News aired a segment on healthcare and social media. The news crew interviewed Dr. Luks on the role he believes physicians have on social media — on platforms such as Twitter and Facebook. 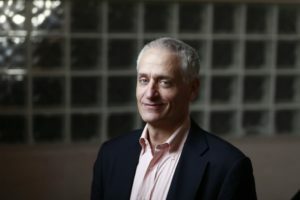 “I feel strongly that the physician has a role as a team member or team leader in helping the engaged and interested patient navigate the internet and the plethora of information, misinformation, useful information, actionable information, and potentially dangerous information that is out there,” he said. In this article written by the American Academy of Orthopedic Surgeons about me and my healthcare and social media endeavors, I discuss why I believe that social media has a role in healthcare and in improving everyone’s ability to learn more about their disease, their surgeon and, their hospital… and possibly even modify healthy behavior patterns. I also discuss why I believe it is important for more physicians to enter into the intersection of healthcare and social media to produce content and engage online. 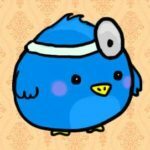 “There’s a lot to learn from doctors who use social media to ultimately increase patient volume. These digital leaders blaze the path for more medical professionals to follow suit. Currently, here are my ‘Top 5? doctors changing the landscape of social media. Why? Because they are authentic and offer value through their content. This is an excerpt from a recent interview: had the privilege of talking with Dr. Howard Luks about his use of Social Media. Dr. Luks is the Chief of Sports Medicine and Arthroscopy at University Orthopedics, PC and Westchester Medical Center. His website, howardluksmd.com is a mix of orthopedic information, tactical Social Media guidance for doctors and general information about the evolution the Healthcare industry is undergoing because of the role the Internet has taken in patient empowerment. Knee Replacements Still Work 20 Years Later. The study showed most recipients remained active and pain-free. The study showed most recipients remained active and pain-free. In a New York Times story on Beyond the Traditional in Sports Medicine, Dr. Howard Luks explained that improvements in sports medicine — even in 1998 — were happening at a rapid rate. America’s Top Doctors: Dr. Howard Luks’ medical credentials have passed the annual screening by the researcher staff of Castle Connolly Medical Ltd, publishers of America’s Top Doctors. His records were examined for compliance with state licensing and board certification, and he was once again listed as one of “America’s Top Doctors” by Castle Connolly Medical. In 2009 Dr. Luks was featured as a guest writer on e-patients.net, a project of the Society for Participatory Medicine. Author Gilles Frydman said, “Patients and physicians need to engage with one another as a team—incorporate these shared decision-making principles— and in the end, the patient has made the choice that *feels* right.” This shared decision making is at the core of Dr. Luks’ practice, and he incorporates his use of social media into his philosophy. “I am infinitely intrigued by the possible uses for social media to improve the delivery, access, and quality of health care to the patients I have the honor of treating every day,” said Dr. Luks. Dr. Luks was quoted in HealthDay News in a story on injections of a nonsteroidal anti-inflammatory fluid used to improve recovery from arthroscopic knee surgery. Patients with severe arthritis, though, will need knee replacement surgery, said Luks. He said he uses hyaluronate to treat pain, but if knee replacement is in a patient’s foreseeable future, Luks is not likely to recommend surgery for meniscus repair. He emphasized, however, that patients who may want to buy time before knee replacement surgery need to have all the information available to make a decision that suits their needs and lifestyle. Health-related searches are the fifth most popular type of search for information online. You can’t disallow your entire health care community, or everyone in the hospital, from using social media,” he said. “Everyone understands privacy laws, so instead of forbidding it, the hospitals need to embrace it and educate. They need to set guidelines, they need to set policy and procedures and then they need enable their healthcare staff to reach out. 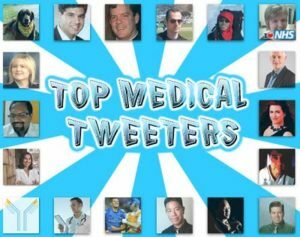 Healthcare and Social Media… Twitter recognition. An absolute pleasure to be in such wonderful company! More comments regarding the intersection of social media and healthcare. HAWTHORNE, NY – Using social media as a physician isn’t about filling your office with new patients, as one expert will tell you, but is more about the “moral obligation” that physicians have to provide their patients with accurate health information.